The Footer element may be one element that is given the least attention. In this tutorial, we take a look at how to customize the footer and make it a resourceful element of the page. Many elements like Text, Links/Menu, Logos, Subscription/Contact form, Social Icons, Google Maps, and almost any element can be displayed in the footer area. 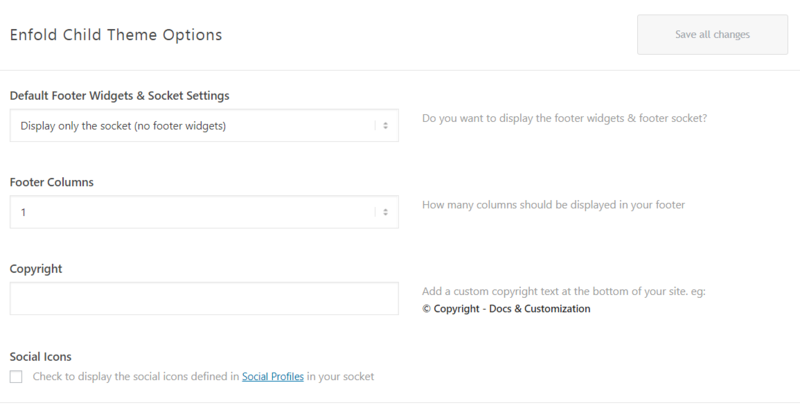 Footer widget settings can be accessed from Appearance > Widgets to display the widget supported by your theme in the footer area. Example: Google Maps, Contact Form, Custom Menu, etc. The easiest way to change the footer link of your theme is to log into your WordPress backend and open the Enfold > Footer Tab. To remove the backlink add the below shortcode in the copyright field. Html code or custom text can be added in the copyright field as shown below. If you like to display a button here a button shortcode can also be added in place of Html tag. 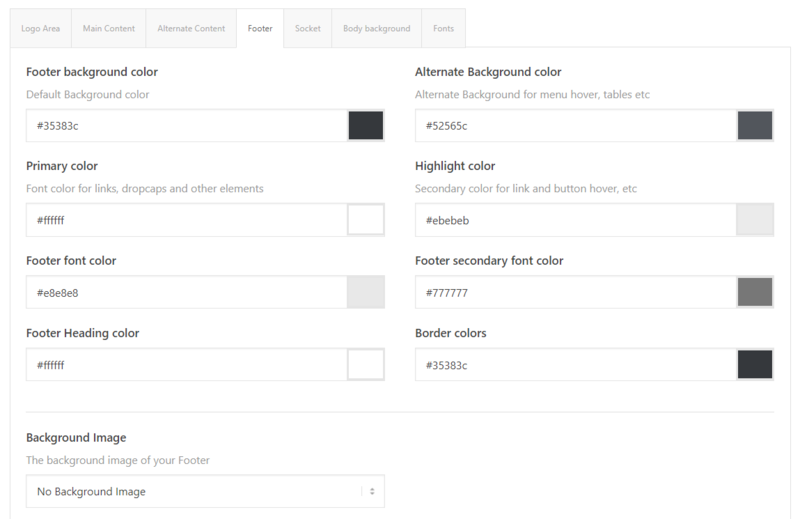 To add custom style to the footer widget title, fonts and links please use the CSS below. To align the footer widget text to left, center or right please adjust the text-align value in the CSS below and add it to your site. To display Scroll to top button on mobile please use the below CSS code.